Gastritis is a condition in which your stomach lining becomes inflamed or swollen. It is simply an irritation or erosion of stomach lining that occurs both in short or long duration. There has been an increase in the gastritis sufferers. This is because many people are neglecting their diet, eating anything and everything leading to gastritis. Chronic gastritis: Gastritis that occur gradually and for prolonged period. What increases my child's risk for gastritis? If your child is experiencing any of the above gastritis symptoms, seek immediate medical attention from your Pediatrician who may help you along with some diagnostic options to determine your type of gastritis. Discuss with your child’s healthcare provider who can help you plan your child's care. Know about your child’s health condition and discuss the treatment options. Don’t give any medication to your child on your own. Talk to your child’s health care provider or pharmacist before following any medical regimen. Discuss with your doctor to know which treatment option will be safe and effective for treating your child’s medical condition. Your diet is important for your digestive and overall health because the food you take make a difference in the health of your digestive system. Gastritis can be prevented by avoiding certain foods and beverages. You can ask about food to eat and avoid and get advice from your doctor. Avoiding certain food items can help you in preventing gastritis. Because some food items can create the inflammation of the stomach lining. Avoid below-listed food items to relieve from gastritis. Avoid deep-fried and fatty food. Limit heavy chocolate chip cookies, biscuits, brownies and other baked food items. Here is the list of food to eat that may help you manage gastritis in your child and lessen the symptoms. If you think that your child is a risk of gastritis, contact your pediatrician. This is because untreated gastritis may lead to stomach ulcers, particularly among children with thinned stomach linings. 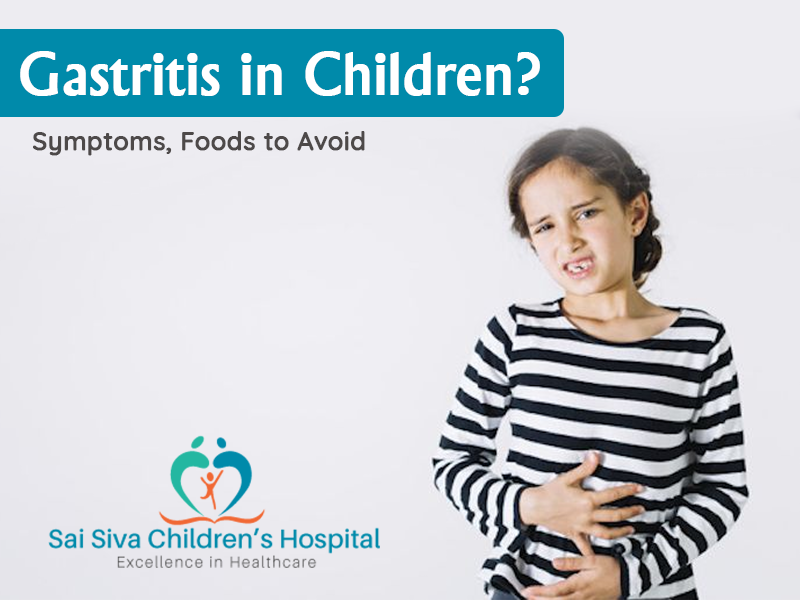 Mostly the patients are advised to avoid certain food, beverages or medications that are responsible for the development of gastritis symptoms, your Pediatrician can suggest you on what to eat and avoid.